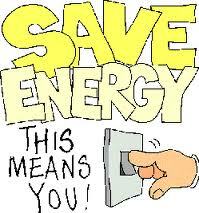 Employee engagement on energy efficiency is a must if the companies will save money by saving energy. This engagement however needs to be done in a planned and organized way with a short term and long term objectives with one of the targets being the change of culture and behaviour of the employees. The employees must be involved from the beginning of any energy saving program and must acquire an energy culture and consciousness. There are various ways companies can achieve their goals. A successful and proven method is the introduction of an energy specialists’ tool that would be tailored to the activities of the company. Through the use of the tool the employees will be trained on energy savings and soon become aware that small actions by individuals can make a big difference to the organization where they work. The use of an energy specialists’ tool, drives and helps the employees to get engaged and this is the first step towards the energy savings journey. Employee engagement is a must and this is acknowledged by many companies which started such programs. Virtual representations of the working environment and company locations all associated and accompanied by energy saving and energy efficiency tips. Learning tools and quizzes making energy savings fun. For any initiative and tool to succeed it is important to have in place monitoring and measurement methods that can be easily and timely be communicated to all stakeholders so that they would understand how their small actions really save energy and slowly and progressively make their organization more and more an energy efficient organization. Slowly and gradually behavior and culture change and the energy saving initiatives become sustainable. When this occurs all the initiatives and achievements are embedded into the hearts and off course the minds of the employees and makes the company strategy a successful one. On the other hand we must acknowledge the fact that we have the people who are not in favour of small actions but are in favour of radical changes throughout the company, something like the big bang approach. We need to handle these people. Whatever the approach is we must understand that there is no silver or magic bullet approach. All of us should do our part, embed into our minds that we need to save energy, use energy efficient mechanisms, introduce new systems that would be environment friendly, reduce carbon emissions and ensure that we will deliver a greener and cleaner world to the next generations to come.